A few people wanted a way to record live commentary while capturing with the Roxio software. 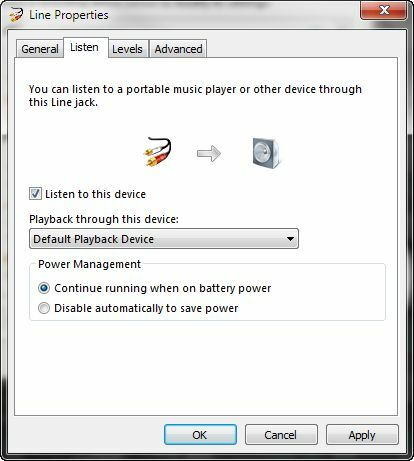 It is possible to do and requires some changes to Windows Recording Device. There are probably ways to do this with other video capturing editing software but this seems to work so I thought I would share it with everyone. I have to admit I have not tested this method 100% as yet, in fact I have probably spent around 15 minutes to see if it works. I was planning to write this guide after more testing but I thought to get it online so everyone can share their results and tips. When I done some initial testing I found the sound from the Roxio to be overly loud, I reduced the in game volume to compensate this. You will also need to tweak the PC Microphone volume to match the game volume. NOTE: These steps are for Windows 7. I can't remember what the settings are like for Windows Vista or XP, but I think Vista at least should be similar. Right click on the Speaker icon on the Taskbar and click on Recording Devices. You should see similar to the below image. The two devices we are going to edit are the PC Microphone and the Roxio GAMECAP. In my case it is the 'Astro Gameing USB Mixamp', but the one you want is probably the 'Microphone' device. Addition: Go to recording devices and right click a open space and make sure "Show Disabled Devices" is checked and then enable 'Stereo Mix'. (Thanks to Vaughn Whiskey for this note). 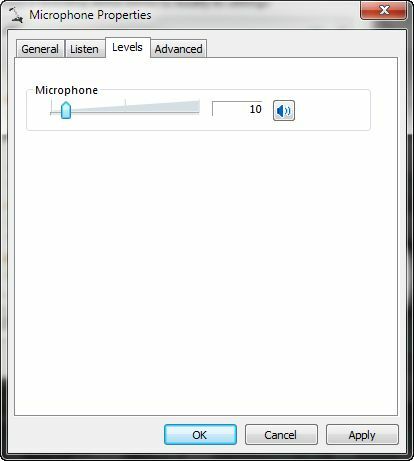 You may need to enable your PC Microphone so do that as well. Click on your PC Microphone once, then click on 'Properties' in the bottom right corner. A new window will appear, click on the 'Listen' tab. You should see similar to below image. Check 'Listen to this device'. You want the audio to be played through your Soundcard which should be the default setting. Click on the 'Levels' tab. This is the recording volume of your PC Microphone. You will need to balance this with the game audio later so for now keep it between 0 and 10 as shown below. Click on OK to save the settings and return to the Recording Devices window. Click on the 'Roxio GAMECAP' device once and then click on 'Properties'. A new window will appear, click on the 'Listen' tab. You should see similar to the below image. Check 'Listen to this device' as you will also want the audio going through your Soundcard. 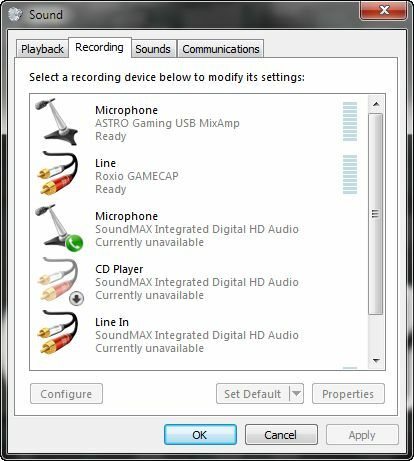 Click on OK to save the settings and then click OK on the Recording Devices window to save everything. Open the Roxio Game Capture software. Click on the Options button and a new window should appear similar to below. 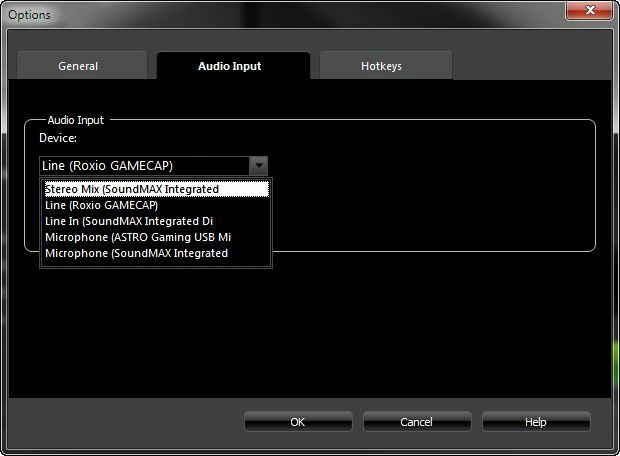 Click on the 'Audio Input' tab and then change the Device from 'Line (Roxio GAMECAP)' to your PC Soundcard, in my case it is the Stereo Mix (SoundMAX Integrated) device. Try a test recording while playing a game and speaking into the microphone. If all goes well you should have a video with game audio and commentary. I hope that gets everyone started at least. As mentioned I have only briefly tried this set up and it works to an extent, it mainly needs some tweaks with the volume to get everything balanced. You can go a step further if you wish and record Xbox Live Party Chat. There is an option on the dashboard to output game chat to Headset/TV Speakers/Both. This will *not* record your own voice but it will record everyone else in the party. You will need to use a second microphone or use the Astro A40 to record yours. I will update this post when possible with any changes suggested or to fix any mistakes. Any feedback is appreciated so feel free to suggest anything. Very nice tutorial Emuholic. Good work. you must enable stereo mix, it is disabled by default. 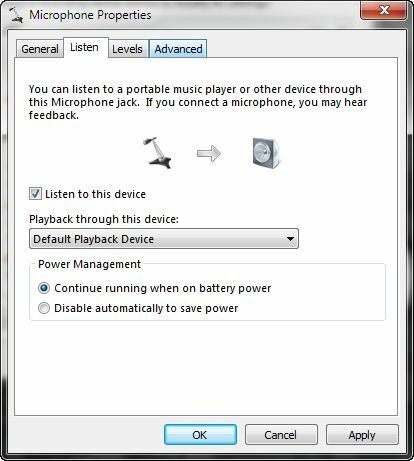 go to recording devices and right click a open space and make sure "show disabled devices" is checked and then enable stereo mix. some computers don't have a stereo mix tho, it might be called something else. as of this tutorial, it still doesn't record your own voice. More so if you are using a gaming headset unless you have a mix-amp or splitter to split the headset mic you are using. i have a Sharkoon X-Tatic SX headset so it isn't the best but this is how mine is set up. but it is different for each headset. my Buddy Arson and you can hear me with my setup in the back. now their is a giant echo, can i fix that? Thanks for the tip on showing disabled devices Vaughn Whiskey, I added it to the guide. I should have some free time tomorrow so I will try and get the best volume settings for voice and game. I done a very quick test before posting this and have a few ideas to sort it out. do you have "listen to device" on? you shouldn't have it on. just have your sound going via stereomix in the cap device. I think you need to have it on so the Mic audio goes through the soundcard so the Roxio software can capture it, that is my understanding of what the setting does (I will double check tomorrow). Turn the PC speakers off to fix this (easy solution) as you will probably be using your TV speakers/surround sound to listen to the game audio. I have turtle beach x1 and am trying to record my voice along with everybody in my party chat at the same time. I can get it to record everybody's voice but mine. The "Stereo Mix" is needed in your sound card the link explains in detail. Well I did all of the steps above, and in my headphone speakers I can hear my voice playback and the xbox very clearly, which im assuming means its going through the soundcard and into my speakers,but when i tried recording with roxio i hear nothing at all in the finished playback. no game or my voice. I thought maybe it was just super quiet so i turned everything up but still nothing. Maybe I need to do that splitter diagram above, but i can hear myself and the game which makes me think that isnt the issue...When looking at my audio options, I can see levels occuring when i talk through my mic, and levels occuring under the roxio line in when the xbox is putting out sound but nothing from my stereo mix soundcard (idk if theres supposed to be anything or not). Keep in mind i have done all of the original steps posted correctly and i am running windows 7. I hope someone knows an easy fix to the problem, stay kool my friends. The problem with Playstation 3 is that we don't have an option to have input and output audio. What that means is. We don't have the abilities to hear our friend's voice by the TV and headphones at the same time. We only have 2 options. Input or output while 360 has input, output or input and output (at the same time). I have a problem with the last step. When I goto Audio Input and try to select my PC Sound Card. It is not in the list ... it is not available for selection .... any ideas? Umm, weirdly enough i dont have a listen tab. Help please? Does this require some sort of dedicated graphic card? or it works perfectly fine with integrated ones? okay so the splitter goes into the spot where the cord to the controller would normally go right? and how do u connect it to the pc mic in slot? Any chance you can do a tutorial for this on windows vista?